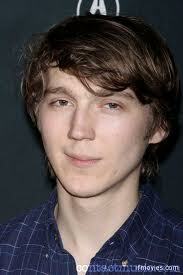 Dano was born in New York City, the son of Gladys (née Pipp) and Paul Dano. He spent the first few years of his childhood in New York City and initially attended the Browning School, while his father worked as a businessman in New York. While he was still a child, Dano's family moved from New York to New Canaan, Connecticut, finally settling in Wilton, Connecticut, where Dano continued his education at Wilton High School, graduating in 2002 to further attend Eugene Lang College in New York, NY. As a child he was involved in community theatre, and while performing in New Canaan his parents were encouraged to take him to New York City. At age 10, he was quickly scouted for roles in plays on Broadway, making his debut at age 12 in a revival of Inherit the Wind along with George C. Scott and Charles Durning. At age 17, Dano acted in his first major film role as Howie in L.I.E. What do you think? Do you know him?